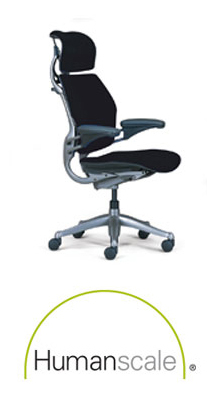 Choose the best ergonomic desk chair or stool for your unique office or personal comfort needs. We are an accredited dealer for Humanscale, HAG and Via Seating, which are leading brand names in the ergo chair industry. Plus, when you shop at Biomorph, you can find and buy these high quality ergonomic desk chairs at deep discounts and receive them quickly with our fast, free delivery. Biomorph is proud to offer the best selection of ergonomic chairs online, and is committed to helping clients select the ergonomic office chair that is going to provide them with the most value and satisfaction. Our trained and experienced personnel can help you assess a work environment or your individual needs to choose the ergonomic computer chair that's best suited for use with your Biomorph desk, or that's going to provide the greatest comfort and enhance the productivity for you or for your office staff. 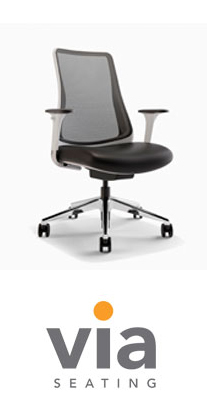 Browse our ergo chair inventory and get in touch with us to learn more about the unique features and countless benefits to be enjoyed with any office or computer chair in our collection. Call us at 888-302-DESK to discover the best ergonomic chair for your needs or for additional color, fabric and leather options.